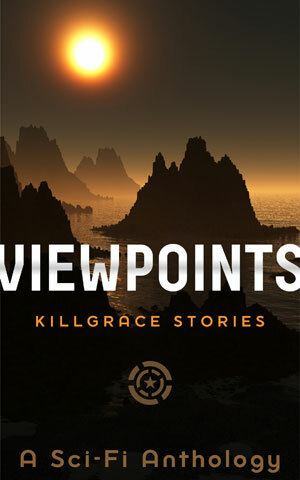 Viewpoints is a new release in the Killgrace series. A departure from the current format, Viewpoints is the first anthology to be released. It contains short stories set in and around the Killgrace Industries missions, written not from the main Killgrace characters’ point of view but from that of people who have interacted with them. Available initially in ebook through Amazon on 6th September 2014 (preorders will be available), it will be going onto wider distribution over the following week. BAU, a short story, is coming out today in a rather unusual form for the series. It will be released in a daily tweet at 2:30 each day on twitter. You can follow this using the hashtag #kgs1 or follow @Killgrace1 for updates. 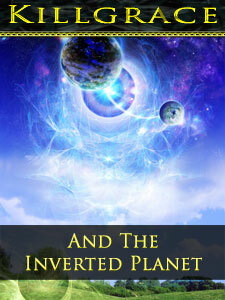 The reworked Killgrace and the Inverted Planet is now available on Amazon. This was due in January, but delayed by health issues. At a total of around 30,000 words, it will now be available free from their Amazon dashboard to anyone who has purchased it. The extra short story Weighty Issue and the absolutely amazing cover by Rashevskaya are still as they were. It was confirmed yesterday that the Killgrace series will be expanding to platforms other than Amazon. 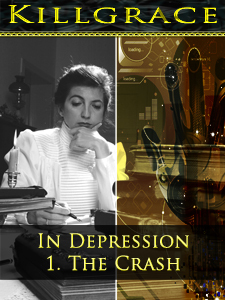 Today the first two books, Singular and In Depression were reformatted for epub, assigned ISBNs, and added to OmniLit. Over the next few days, more of the ebooks will be added. The full set will soon will be available through Kobo and other distribution channels in epub. It is also possible, from what I have heard, that the range may be coming to print this summer. An interesting video about a film which is generally hard science. I do like the line about the title, (“should be ‘Angular Momentum”) and the rather large physics fail about the movements of bodies in low gravity which unfortunately renders a dramatic moment laughable. I’ve chosen this video because as well as giving a good grounding in space, it shows that even the best people who can afford the best consultants fall down in places. This is also why most filmmakers prefer the rayguns and science-as-magic approach: until we can shoot movies in space, it is simpler and cheaper. You can get the DVD from Amazon.co.uk. I haven’t read the novelisation so I don’t know if the errors are better explained in there. Killgrace in Depression, the story of Susan and Cet in the two months before the Wall Street Crash is now on sale at 0.99 until the end of the week (7th – 11th July). After the reaction to the first video I thought I’d make this a regular feature for Mondays. Interesting videos from youtube that I find, usually science-related, and post here for discussion chat or just because they deserve more attention. I picked this one not just because it is funny, but because of the relevance to science fiction. The video provides a sense of scale to the galaxy and the universe, something lacking from a lot of modern science fiction which blithely assumes that their characters will become famous across the entire universe. Even with FTL this is unlikely. The Universe is bigger than most think. To put this in perspective, Cet has lived 250,000 years. If he had visited a different star system every day for that period, he would not even have visited all the star systems in our arm of the Milky Way galaxy. In his current lifespan, he could visit 91 million systems. The Orion–Cygnus Arm where our solar system is located, itself probably a spur from a larger arm, is believed to contain ten billion stars. The Milky Way itself contains two hundred billion. If he had visited one system in a different galaxy every day, that is 91 million galaxies – where word is unlikely to spread across the entire galaxy – out of the estimated hundreds of billions. He probably would not even have visited all the ones we have seen as even the first Hubble deep field photograph returned 3,000 galaxies and it has taken many more since. So no, as the video so rightly says, we are not the center of the universe. Migrated Post: This post was on the now defunct author blog on 23rd December 2013. It’s still true. For my first post here, I thought I’d link one of my favourite space videos – earth seen from the International Space Station. The clips include storms, the Aurora Borealis, and the night shots of the earth, and the video’s creator did a wonderful job of editing these together. Migrated Post This post was originally placed on the now defunct author blog on 15th December 2014. It’s still a good video. I’m moving the movie feature to Tuesdays instead of Fridays now, and the ground it gives people more time to view them during the week, instead of being out at weekends. Teddy Bear, a short piece set in Era 0 is now available. While only a couple of thousand words it contains some information that definitely influences the course of future events – and a nasty surprise the Yvak species possess for an attacker that doesn’t make Susan’s life easy. The video shows solutal convection. This post isn’t related to anything specific (yet) I just think it is an interesting effect. It’s also a great excuse to test tumblr, twitter and my new video template for post format. At some point I may try this with a few types of liquid – milk, reduced fat, double cream etc and film it just to view the effects. What I would hope to capture is what happens with different thicknesses. What I’ll probably capture is what happens when it goes wrong.